Absorptionsmessung in Optischen KomponentenREO Inc.
REO has published an article on "Absorption in Optical Components" on the Germany website and publication PHOTONIK in the May 2015 issue by AT-Fachverlag GmbH. This article discusses the sources, metrology and processes that REO utilizes to minimize optical component and thin film absorption. REO Senior R&D Engineer, Alex Martin discusses the effects and critical applications sensitive to optical component absorption. 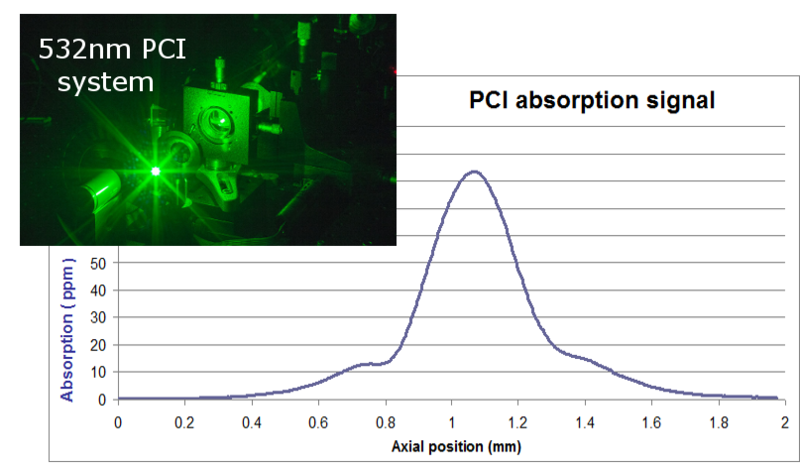 The sources of absorption for optical substrates and thin film coatings are an important consideration in optical system efficiency and performance. A number of applications, such as cavity ring‐down spectroscopy or low‐gain lasers, are sensitive to extremely low levels of optical loss. In systems like high power material processing lasers, heat generated by absorption can be the primary performance limitation. Since the output and longevity of these systems is dependent on limiting and managing sources of heat, the measurement of absorption by both manufacturers and consumers of optics is a critical metrology capability. Click to read the full article discussing the sources and effects of absorption,measurement techniques, and methods of mitigation.